Before she spoke at the Gen Z Realness panel, Kiersey Clemons posed on the pink carpet at the 5th Annual Beautycon LA Festival Day 2 yesterday(July 15th) at the Los Angeles Convention Center in LA. 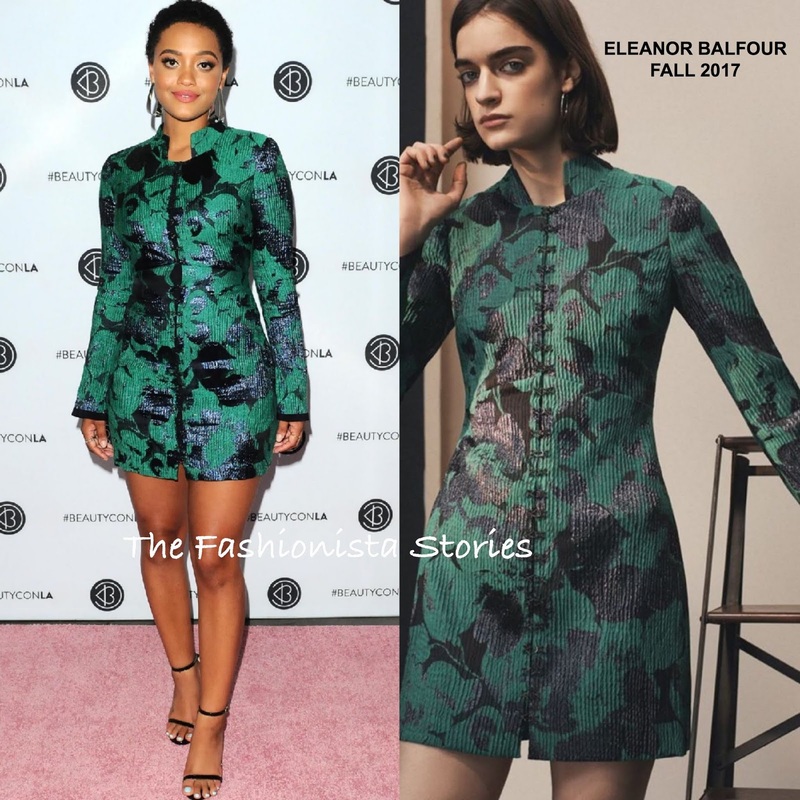 For the occasion, she wore the ELEANOR BALFOUR FALL 2017 'Svea' long sleeve green & black floral jacquard, mini sheath dress with a standing collar. I like how this dress looks on Kiersey, it's fitted without looking too tight. Working a flawless beauty look, she finished up with statement earrings and black ankle strap sandals.